C.I.E. COSTRUZIONI INSTALLAZIONI ELETTRICHE S.N.C. C.E.A.R. SOC. COOP. CONS. ELETTR. ARTIG. ROMAGN. A & G IMPIANTI E SISTEMI S.R.L. 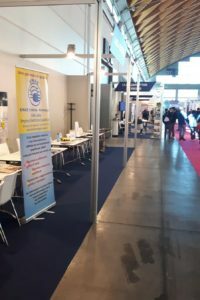 BEGHELLI DI FRABETTI FRANCA E C. S.N.C. BELLAVISTA GILBERTO & C. S.N.C. BIZETA DI BARTOLINI DANIELE & C. S.N.C. BONI RENATO E FIGLI S.R.L. BORTOLOTTI SERGIO & C. S.N.C.